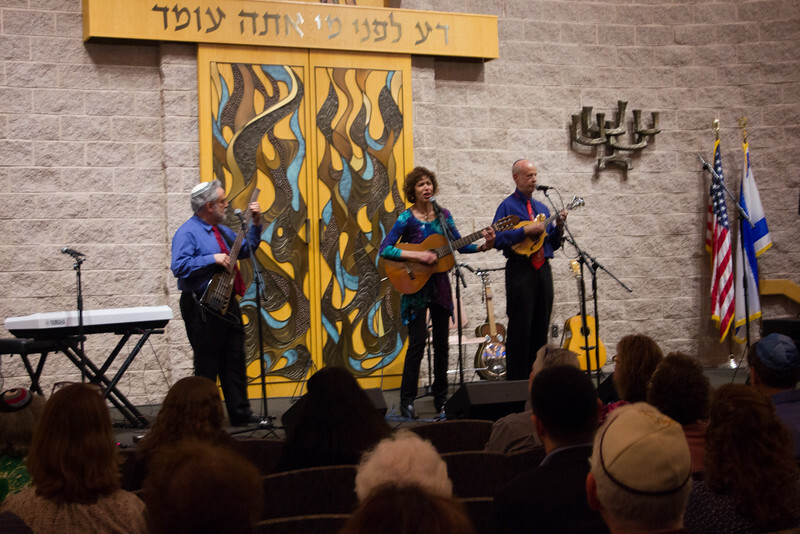 As part of a year-long celebration of Congregation Beth Emeth’s 36th (double-chai) anniversary, CBE celebrated “The Miracle of Beth Emeth” on Sunday with an inspiring holiday trifecta: a Hanukkah concert with the Robyn Helzner Trio, then a community candle-lighting followed by a congregational Hanukkah dinner. A few of CBE’s religious school students sang with the Trio for part of the concert, and were quite a hit. Thanks to Robyn Feuerberg, Susan Moskowitz, Sheri Cerny, Gail Shor and the many volunteers and staff who made this event possible! Photos by Susan Berger.